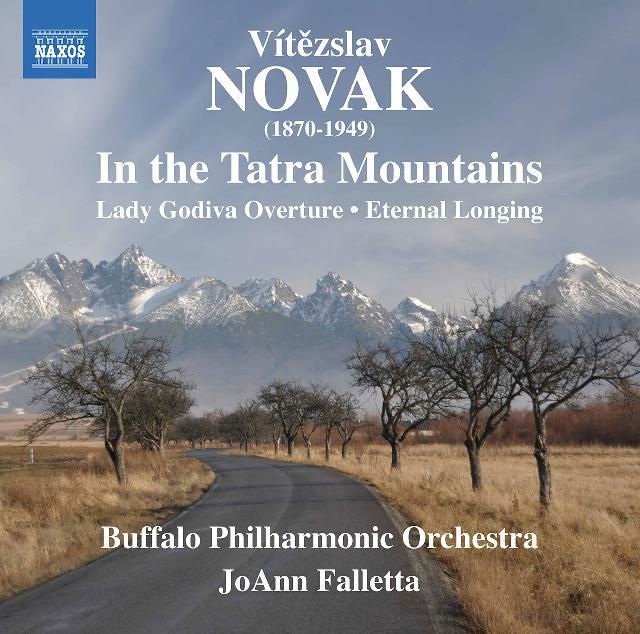 Vítězslav Novák's Eternal Longing (1904) is a gorgeously opulent and deeply touching creation which displays a conspicuous kinship with those magnificent orchestral works by Josef Suk from the same period. Striking just how much Vítězslav Novák's 1902 tone-poem In the Tatra Mountains anticipates elements of Richard Strauss's An Alpine Symphony, which it predates by some 13 years. A gifted pupil of Dvořák and keen climber, Novák shows a formidable awareness of nature's slumbering power in this intoxicatingly evocative essay. Even more durably rewarding, however, is Eternal Longing: completed two years later and based on a tale by Hans Christian Andersen, it's a gorgeously opulent and deeply touching creation which displays a conspicuous kinship with those magnificent orchestral works by Josef Suk from the same period. Sandwiched between these two comes the 1907 overture Lady Godiva, another dashing yet tenderly compassionate offering, well worth getting to know. I can report that JoAnn Falletta secures compellingly secure, dedicated and atmospheric results from her admirable Buffalo band in this extremely attractive repertoire – though do also try and hear the great Karel Šejna's classic, irresistibly tangy 1966 Czech PO versions of the two tone-poems (coupled with the same composer's adorable Slovak Suite, on Supraphon). Everything has been vividly captured by producer/engineer Tim Handley, and inquisitive souls certainly needn't tarry.